When we discover a song that defines us, the magic of music and our experiences unites like Pangea on an emotional jolt. That’s what happened to me the first time I listened to Protection by Emma Ruth Rundle. At that moment I didn’t imagine that this voice so sweet, so disturbing and full of reality, belonged to a girl of humble roots and existentialist mind. Introspection and transcendence are the keywords that define the core message of this visual artist, composer, singer, and guitarist from Los Angeles, whose roots germinated from folk to the fruits of post-rock, a music genre in which she can´t be pigeonholed but where she has built her artistic life, accompanying bands like Deafheaven and Alcest. Her place is not defined, the limbo is her paradise between the earthly of her lyrics and the spirituality of her melodies, untouchable but present. “Hello, Marlis. Thanks for the kind words and for taking the time to write these questions”. Although we did not have the opportunity to converse in person, Emma responded to the interview while preparing her first art show scheduled on September 8 in Chicago, an outstanding step in his musical and artistic side after three recordings and a list of personal struggles. 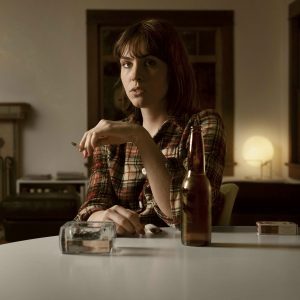 Alcoholism, endometriosis, and mortality are constant words repeated in Emma Ruth Rundle’s story. These are her pain producers and the core of her creation. She doesn’t bother to talk about it, however, many truths are said in her cathartic compositions. “It’s strange to talk about it in some ways. I also feel that I tend to block some things out after dealing with them during the writing and recording process – not in a way that makes them totally inaccessible- but in a way where I don’t really want to talk about them. I believe that it’s important to keep the conversation open but it’s not always comfortable”. “I think on some level there is a common theme of struggle that exists in both the music and the visual art but my approach to each is different”. There is a belief that music defines personality. If someone listens to festive music, is someone happy, and if another person listens to nostalgic music, then is a depressive human being. Does music defines personality or acts as a soundtrack of our feelings and experiences? “I think music is personal. At least for me, it is. Music is something I enjoy alone while painting or in headphones- for the most part – of course, there is music for a party or for a road trip or afternoon with a friend but that’s not how I typically listen”. From one portal to another. Is it heaven or hell? Both time and space are very relevant in Emma‘s song, who recorded each of her albums in unconventional places where the atmosphere was undoubtedly absorbed by her songs. She agrees that isolation plays an important role in the expression of feelings when composing and recording. 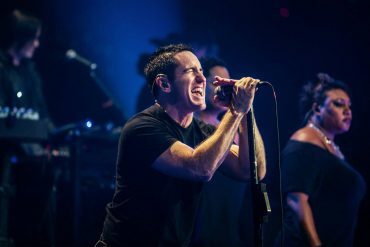 “That has been the case up until the latest album and I would answer yes. I think the extreme settings in which the other albums were recorded definitely propelled the emotional content of each. The newest one, On Dark Horses, was different and the support of a full band and a real studio makes it more colorful in a new way”. 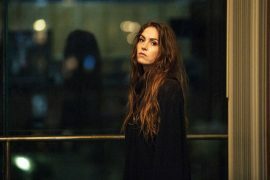 Emma Ruth Rundle’s passion for guitar playing began in a turbulent manner. When she was a child, after an earthquake in Los Angeles, Emma Ruth’s mother took her and her sister Sarah to the McCabe’s Guitar Shop, where she motivated them to choose an instrument. At first, Emma preferred the Celtic harp, but in that legendary place, she developed her passion for the guitar and worked for 13 years. She even built her own guitar pedal for experimentation. Electric Guitar: One is an album of improvisations recorded in the back seat of a Van in movement, during a tour of Red Sparowes around Europe in 2010. The sound of this production conveys the atmosphere of the place where it was recorded. In this album, Emma invites us to see through the window, feel Oslo and Gothenburg, while we experience the ecstasy in thinking of final exits. This album was not recorded in a strange place for her, in fact, it was produced at Sargent House, the record company that she works with. 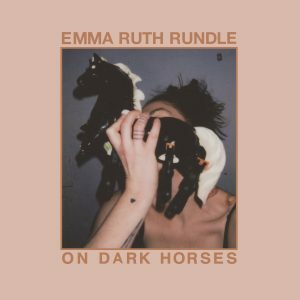 It’s Emma Ruth Rundle’s first solo album a production that encompasses innocence, and also opens the portal to the exploration of personal and spiritual subjects where sweetness doesn’t break its halo of mystery. Unlike her previous album, Some Heavy Ocean is driven by acoustic guitar and an embracing voice that invites the listener to introspection and almost makes us believe that it’s a mirage in the desert. 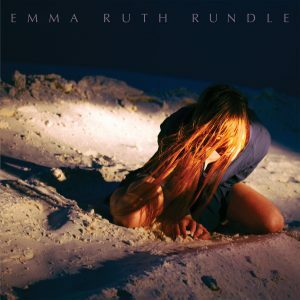 Emma’s background in folk music is present in this album. The sound and the stories stand out. Marked for Death is Emma’s darkest album and marks an era of suffering, where endometriosis leads the singer to long periods of physical pain that sparked an explosion of deep emotions over eight songs. The recording was made on a farm in Los Angeles. During the first days, Emma went out to buy food or cigarettes, but there came a time when it was simply impossible. She stayed there, accompanied by her shadow and the night sky to end this great piece of alternative rock. Protection is the track that defines Marked for Death a song that reflects a lot of sexual darkness, longings, loneliness and self-destruction, and where Emma deliver all her vocal skills and intimacy to us. “I’m glad the song resonates. It’s definitely one of the more powerful songs for me when it comes to live performance. I feel all the emotions returning every time I perform Protection. Music is, without a doubt, cathartic for me and that is the main function”. 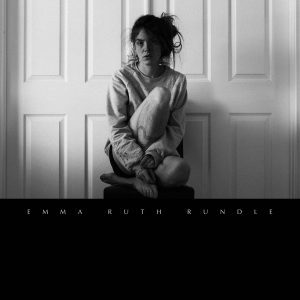 This is Emma’s most recent album and the first production of her solo project in the company of a full band. Recording it at La La Land Studios in Kentucky, gave a different air to the album which she describes as “empowered”. The pink of the cover could deceive you but On Dark Horses the first single of the album transmits a powerful, direct and frank sound without leaving aside the ethereal and introspective atmosphere that characterizes Emma’s songs. The launch date is scheduled for September 14. Creating music and earning money at the same time is almost a utopia for some artists who start a career that they usually abandon, betting on insurance, distrusting their talent, resigning themselves to losing it and sheltering in the shadows. But Emma always visualized the opportunity to transform art into a full-time job. “I always hoped, from a young age, that art and music could become my full-time job, and since they have, I have come to feel grateful but also understand the workload, now, that I couldn’t have imagined in my youth”. Emma has had the chance to make a living from two art forms: painting and music, and even when her approaches to each are different, you can find similar messages on her canvases and in her lyrics, in fact, her latest collection of paintings are inspired by the album On Dark Horses. 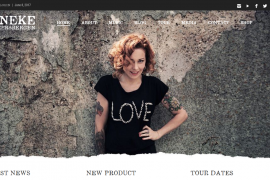 Her fans can buy Emma’s creations in her website “either in print form or originals between tours when I am financially strained. I will have my first real art show in Chicago on September 8th for my new large oil paintings that are part of the On Dark Horses world”. Her work as a visual artist is present in most covers of her albums, including the artwork of some Marriages albums. “I have created most of my album covers but the covers for Some Heavy Ocean, as well as Kitsune and Salomé, were collabs with Greg Burns”. Sargent House is not a cold building in the middle of the city, adorned with pretentious portraits of musicians and executives. Nor an ostentatious office where a businessman in an old-fashioned tie waits anxiously for the next hit on the radio. 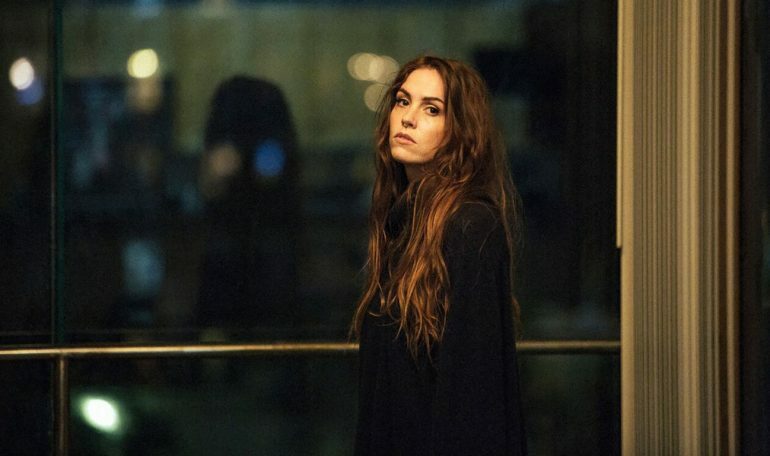 Sargent House is a cozy house in the hills of Los Angeles with a black and white rustic style that has become the center of activities and the record company of artists like Deafheaven, Chelsea Wolfe, and of course, Emma Ruth Rundle. Its policy of “no submissions” and the music smell of its owner Cathy Pellow make possible the match between several musicians and bands that play different genres but their sound, aesthetics, and essence are intertwined in a brotherhood of indie cult. 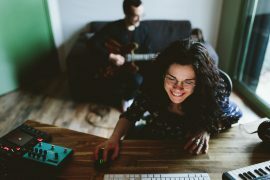 Emma Ruth and her colleagues at Sargent House are part of a changing and overwhelming music industry, however, she feels grateful to be where she belongs. “Music business seems to change every week but thinking about business, while important, is the most stressful part of being an artist (other than touring). I feel lucky to be in the hands of the great folks at Sargent House. Cathy Pellow is like family to me and I owe her everything. Same for Marc Jetton”. While touring is what Emma finds most stressful at times, she loves the idea of visiting our Latin American continent someday. “It’s always humbling to know that anyone is hearing the music and feeling something. I’m doing a US/UK/EU tour from September 15th through December 17th. I’d love to come to South America. It would be a dream and I hope it can happen”. For you what does it mean to be free? “This is something that I have to reassess daily. I’m not sure anyone can ever be truly free. There’s always someone or something to answer to. Be it a boss, a voice, a schedule or a spirit drawing out your force”.